In the British Army, the Quartermaster (QM) is the commisioned officer in a battalion or regiment responsible for supply. The Quartermaster is assisted by the Regimental Quartermaster Sergeant (RQMS) and a staff of storemen. 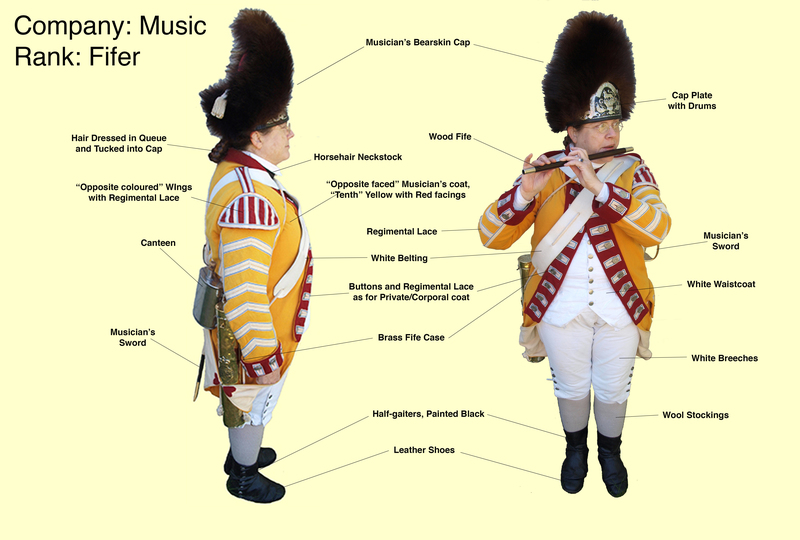 The QM, RQMS and storemen are drawn from the regiment or corps in which they work. 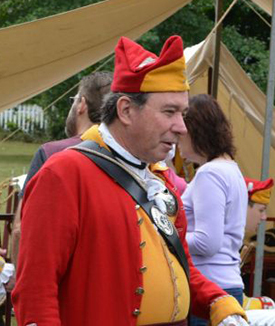 Colonel Paul O'Shaughnessy currently serves as the QM for the Tenth Foot. Col. O'Shaughnessy joined the Tenth in 1972 with Regimental number 35. 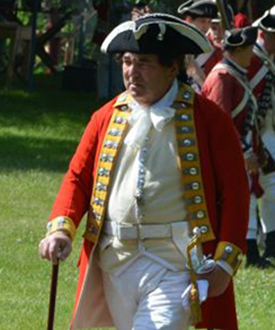 He has served in many roles in the Regiment, including Commanding Officer from 1997 through 2014. In addtion to the Colonel, the QM staff also includes Mr Leonard Torto. Mr. Torto first joined the Regiment in 1975 (Regimental number 110), rising to the Rank of Lieutenant in the Light Infantry Company, and has recently returned to also take on the duties of Regimental Surgeon. Together, Col. O'Shaughnessy and Mr. Torto ensure that the men of the Tenth are uniformed and equiped as accurately as is possible. 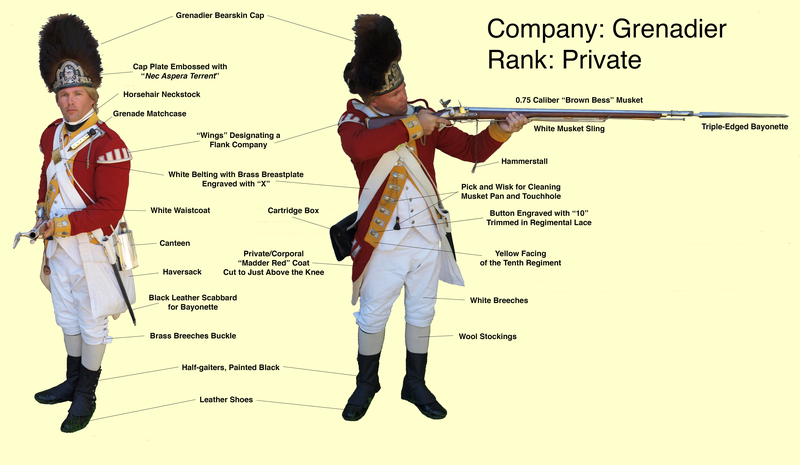 This is not an easy task as much of the men's accoutrements are manufactured "in house," with the assistance of many other members of the Regiment who donate their various talents to this endeavour. In the end, the goal is for the men of the Tenth to be the best and most accurately equipped Soldiers on the field. 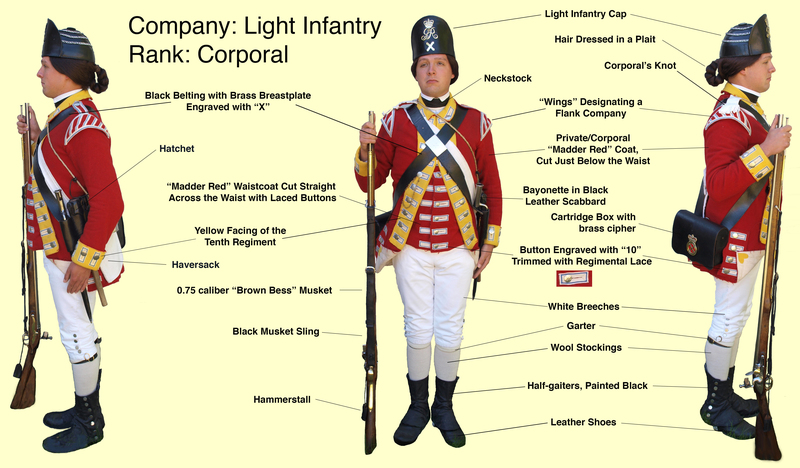 Select One of the Men for a Description of His Uniform and Accoutrements.